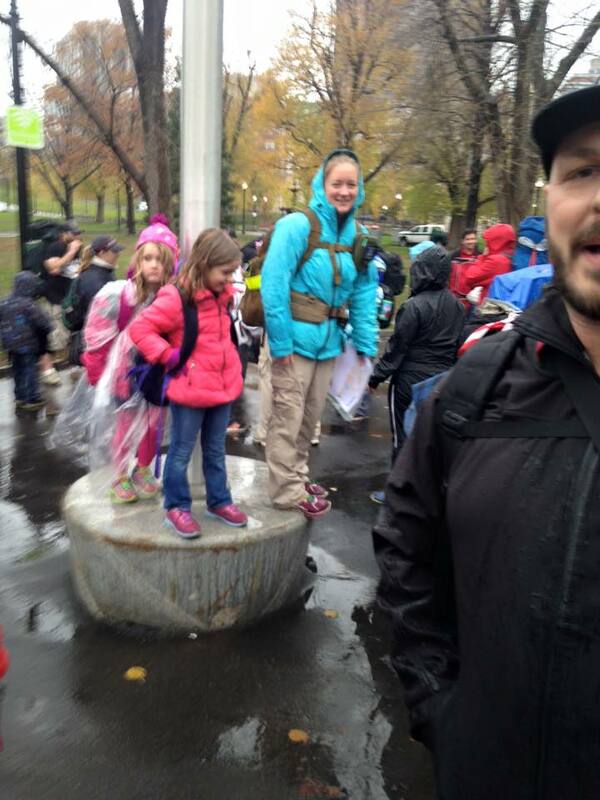 Back in Boston, our second annual Rucksgiving, and it was raining. 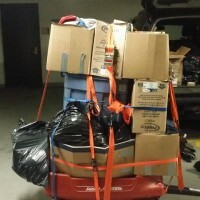 2015 saw lots more people, lugging lots more stuff – but we were seriously worried about being able to get that much stuff out to the right people. 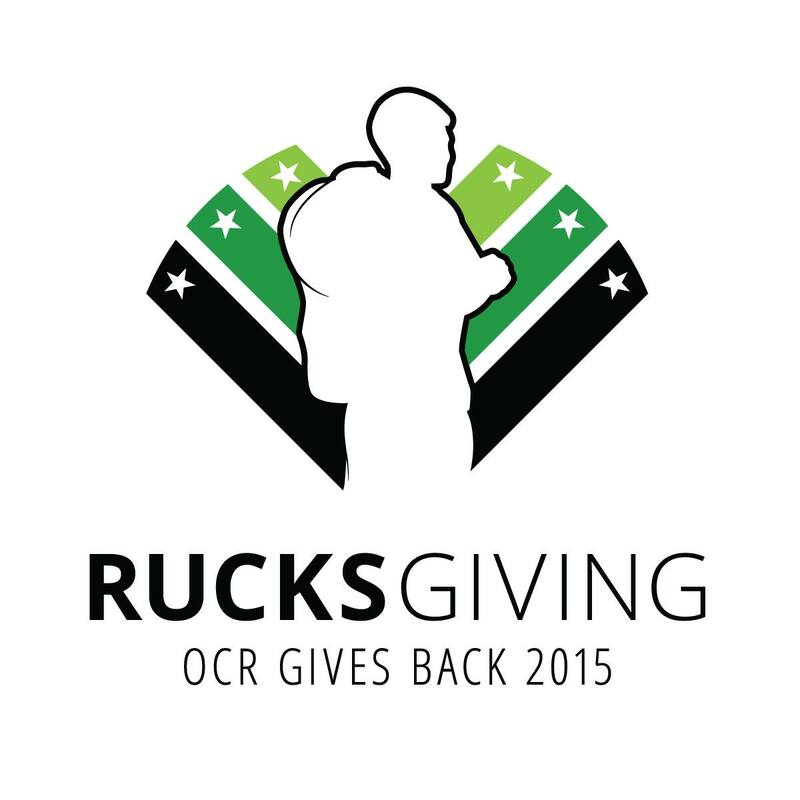 Rucksgiving has one goal – bring whatever you can, and ruck it around the streets, and get it out to the homeless. Warm coats, blankets, socks and gloves. Food, toiletries, gift cards. 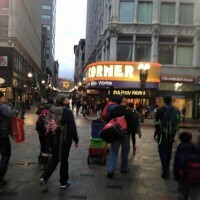 We had tried to do our homework and reach out to shelters before hand – and received pushback from them – you see, shelters don’t really want to deal with large groups of people, handing out unvetted and unsolicited items to their population – which is pretty much exactly what we need to do. 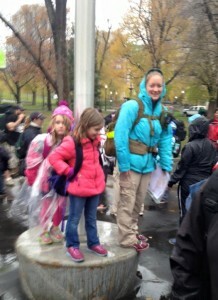 Fortunately, someone way more prepared than I had stepped up to take the lead – Shaina, one of our long time members and NES ambassadors, had offered to take point and co-ordinate with the Team RWB Boston community to plan out a route, call some venues and shelters and keep the ducks in a row (I’ve said it about ten times in the last 24 hours, but I’ll say it again – THANK YOU SHAINA!). 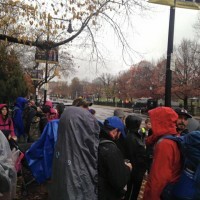 With way more people joining us this year (despite the drizzling rain), this was no small task – but between them they planned to split us into five groups of about 15 to 20 people (plus kids), and head off in different directions to see what we could do. 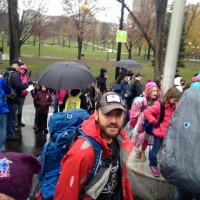 This year, we were better prepared with our gear – I had a ruck stuffed full of new fleece blankets – and my son’s cub scouts had provided us with bags of warm coats and childrens wear. 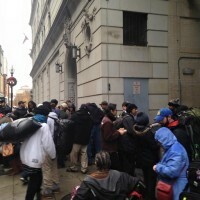 Others had pre-packed baggies full of toiletries and personal care products, and more than a couple of people had to bring wagons, piled up with totes full of warm clothing that had been collected. It was a pretty awesome, and more than a little overwhelming at times! I have no clue how much stuff we brought, but it can never be enough. The plan of splitting the group up into smaller teams, each with their own leader, worked perfectly. 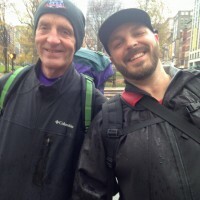 My team was able to stay together, be more co-ordinated, and after a sweep of the Boston Commons (empty, the rains driving everyone into shelter or under cover), we took a route, followed our leader, and hit two separate shelters. 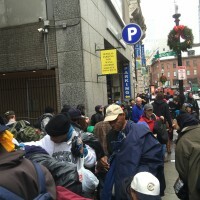 In both cases, the shelter staff and security asked us to move on and not crowd their front entrances – but in both cases word got out quickly to the residents, and we setup a few hundred yards down the street – I was able to get my blankets handed out very quickly – and we started to get our socks, coats, gloves and hats distributed as quickly as possible. Like last year, food items seem to move slowly, in favor of getting warmth before the winter period hits. 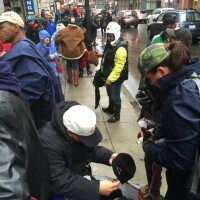 The community was welcoming, thankful – and in some cases simply wishing them a happy holidays and a quick “stay warm” was more important to them than the gloves or socks it came with – like we saw last year, this is stuff they need, find hard to get, and the simple act of someone showing them some kindness is rare and special for them – and such a pleasure and reward for us. We can’t change the world or their situation, but we can remind them we’re all human and they are being thought of. 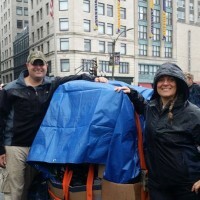 It was easy at the beginning to be a little glum – the weather was poor, all the planning and calling ahead of the shelters was discouraging, and the volume of gear and people overwhelming – but our community leaders had a plan, and we were able to get much of everything we brought delivered to the people who needed it most – it seems a better bet to simply show up at shelters, and let the residents get the word out, than work through the shelters themselves – not an ideal situation, for sure, but at least in Boston it was effective. Thank you to everyone who came out, who helped supply gear, especially our team leaders and Shaina for keeping the cats herded. Also – thank you to OCR World Championship for the inspiration – a chance phone call from Adrian in 2014 “do you think this is something people would be into?” has turned into an annual tradition for the New England Spahtens, and from the photos flying around yesterday, many other regions and OCR communities are also getting involved and making a difference. It may never change the world – but if it changes just one persons holiday weekend, then thats enough for now. 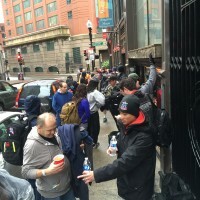 Previous post: My personal #racelocal recap, and the strangest FOMO ever. Next post: OCR – weekend activity, or weeknight TV?